The Food For Life Catering Mark is awarded when the food has been freshly prepared using and high quality, seasonal ingredients that have been locally sourced, and are free from GM and harmful additives. The mark also ensures that the food provided is ethical and better for animal welfare. LSBU was also previously awarded the Mayor of London Healthy Workplace: Commitment Level award 2015. 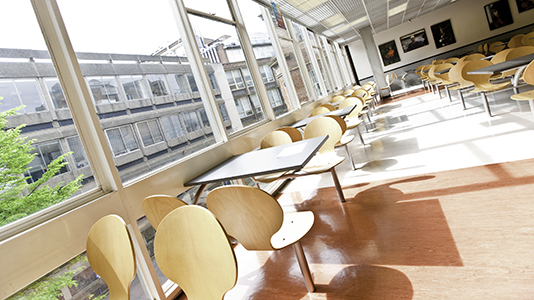 "The health and wellbeing of our students, staff and visitors to the campus catering facilities is a priority for London South Bank University. Food is an important part of all of our daily lives and has a direct impact on our health. Our partners, Elior UK, have risen to the challenge and are playing their part by making healthy locally prepared food available." “I’m very pleased that LSBU has been awarded The Food For Life Catering Mark. “It’s important that our students and staff have access to a wide range of freshly prepared, healthy, nutritious and affordable food. Find out more about LSBU's health and wellbeing initiatives.